Jupiter’s intense northern and southern lights pulse independently of each other according to new UCL-led research using ESA’s XMM-Newton and NASA’s Chandra X-ray observatories. The study, published today in Nature Astronomy, found that very high-energy X-ray emissions at Jupiter’s south pole consistently pulse every 11 minutes. Meanwhile those at the north pole are erratic: increasing and decreasing in brightness, independent of the south pole. This behavior is distinct from Earth’s north and south auroras which broadly mirror each other in activity. Other similarly large planets, such as Saturn, do not produce any detectable X-ray aurora, which makes the findings at Jupiter particularly puzzling. Using the XMM-Newton and Chandra X-ray observatories in May to June 2016 and March 2007, the authors produced maps of Jupiter’s X-ray emissions and identified an X-ray hot spot at each pole. Each hot spot covers an area much bigger than the surface of the earth. Studying each to identify patterns of behavior, they found that the hot spots have very different characteristics. 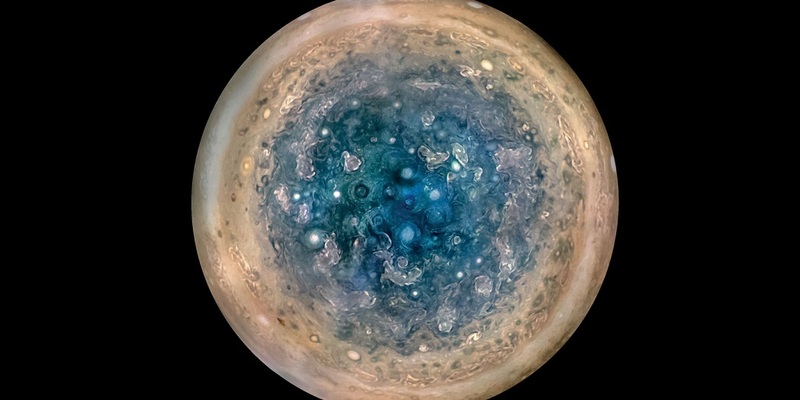 “What I find particularly captivating in these observations, especially at the time when Juno is making measurements in situ, is the fact that we are able to see both of Jupiter's poles at once, a rare opportunity that last occurred ten years ago. Comparing the behaviors at the two poles allows us to learn much more of the complex magnetic interactions going on in the planet's environment,” concluded co-author Professor Graziella Branduardi-Raymont (UCL Space & Climate Physics). The team hopes to keep tracking the activity of Jupiter’s poles over the next two years using X-ray observing campaigns in conjunction with Juno to see if this previously unreported behavior is commonplace.